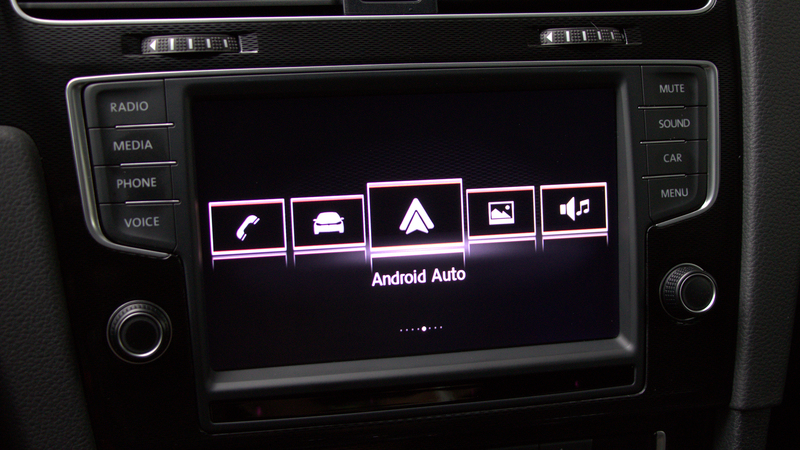 I tried Android Auto (AA) when I bought a new 2014 Jetta. It seemed limited, slow, unintuitive, and inconvenient when compared to just using a mounted smartphone. I gave AA another look when I got my GTI in 2016. It was a little better, but I still preferred to use the smartphone. I decided to try Google Maps in AA when upgraded my display to an 8-inch screen. 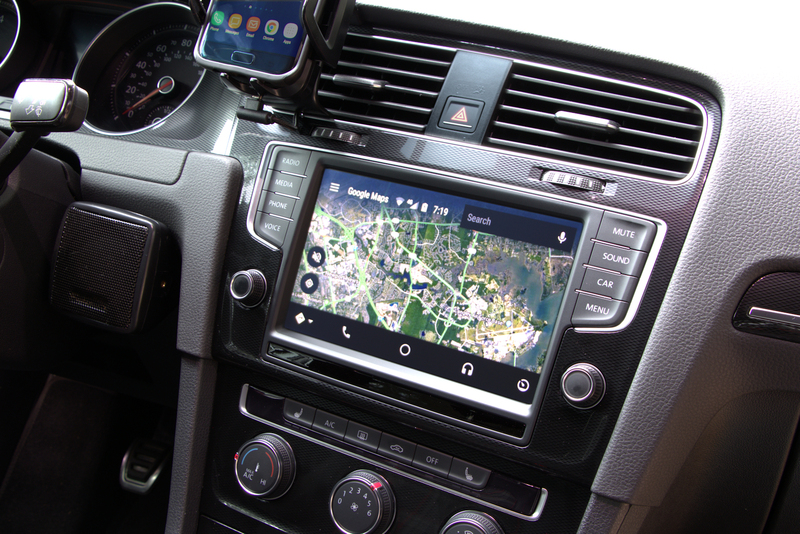 My car does not have VW’s navigation, so I liked having Google Maps on the big screen. Coincidentally, Waze had recently became an option on AA. It has its pros and cons, but it was just as appealing on the big screen. I decided to give AA another chance to win me over. 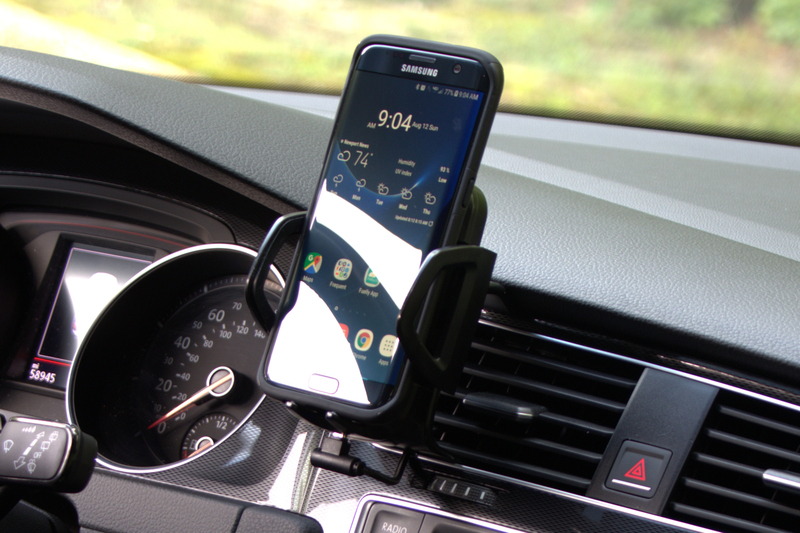 The most common “tech toys” I use while driving are a music player, navigation, and an occasional hands-free phone call. I don’t care for AA’s music players. The apps are slow to launch, the menus are limited, and I prefer the artwork and interface of the MIB2 media player. I can say the same about AA’s phone menu. I typically call just a few people when I drive. The MIB2 phone menu gives me immediate access to four favorite contacts. Otherwise, all calls are inbound only, which is acceptable in AA. In short, Google Maps and Waze are the only apps I like in AA. Perhaps that will change in the future. Regardless, my decision to use AA at all compelled me to streamline how I connect the phone. That’s when I decided to try a D-Dock. 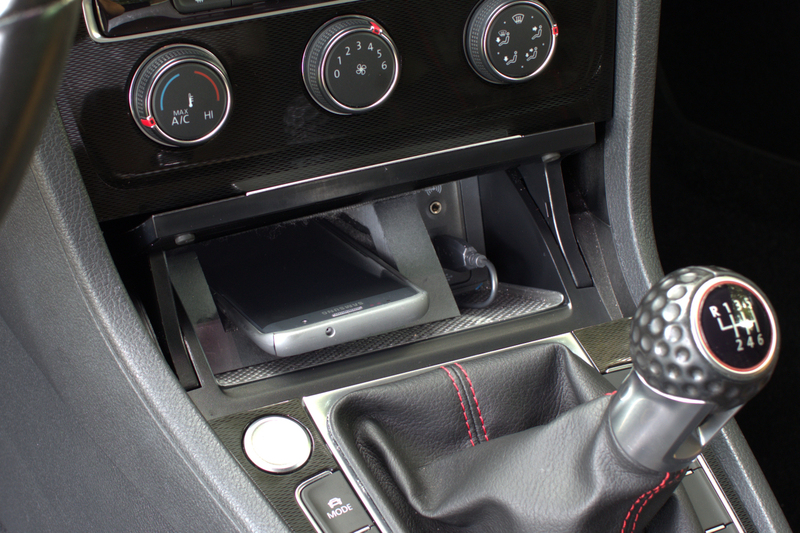 D-Dock is a one-man operation that 3D-prints a dock that fits in the Mk7 center console, adjusts to accept a variety of smartphones, and remains plugged into the MIB2’s USB port. It has a choice of USB-Micro, USB-C, or Lightning (Apple) connectors built into the dock. Simply sliding the phone into place connects it to the MIB2 automatically. Once parked, remove the phone and the plug comes straight out. The drawback for me is that using a D-Dock removes my smartphone from my line of sight. I was not sure if I could make that change after 10 years of having my phone in view. But I decided to give it a try. Being unable to see text messages was my first observation. I didn’t mention it while writing about AA because messaging is not a primary concern while driving. But I still noticed. Instead, I hear a chime and a small pop-up appears on the screen. From there, I can either ignore it or touch the window to have AA read the message to me. AA is designed to be a hands-off operation. The only way to reply to a text is to answer “yes” or “no” to AA’s prompt and then speak a message. I keep my responses short and simple. 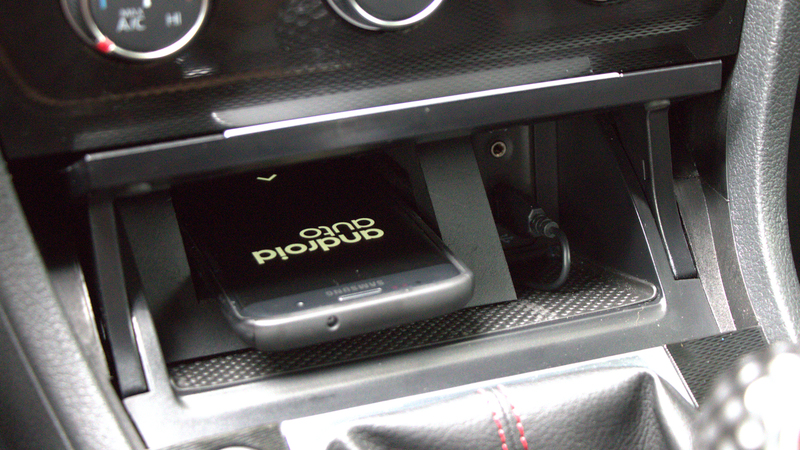 I didn’t think I’d adjust to this, but having the phone tucked out of sight has not been an inconvenience at all. For the apps that I need when parked or in a drive-thru lane, I easily remove the phone from the D-Dock, make my selections, and then return it. There’s no interruption to my music because I use the SD card for music playback. I’ve been content to let everything else wait, which should be the norm while driving, right? 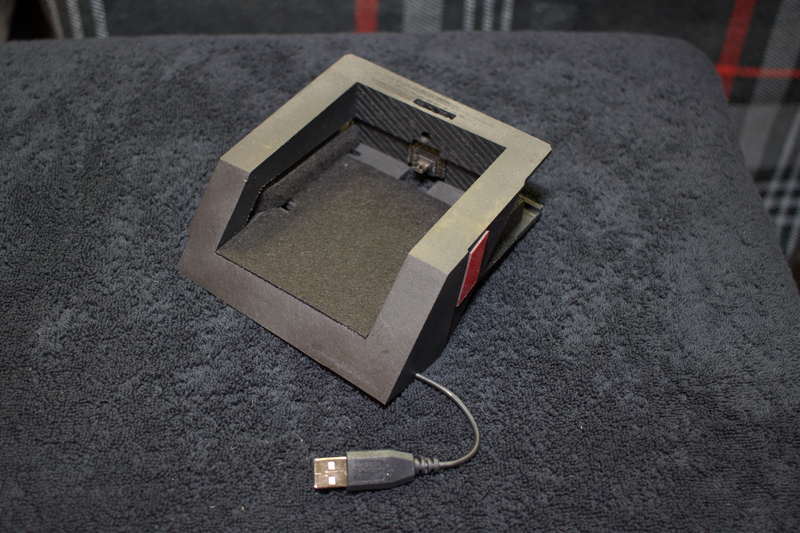 There are only a few things I don’t like about the D-Dock, and they’re minor. I added some washers to the adjustment screws under the tray. They may not be necessary, but I like having the extra material around the screw heads to expand the clamping area and to make sure the adjustments stay put. I also managed to crack the piece that holds the USB connector. It’s a little thin, so I think it would be better if that piece was printed with ABS instead PLA to make it more durable. See a photo of this piece in the album below. 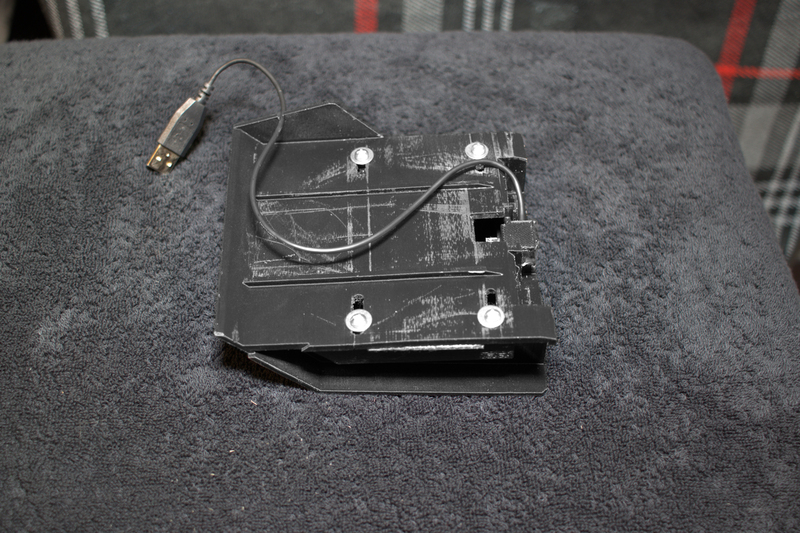 I fixed mine with some Household GOOP, which also holds the connector in place and strengthens the piece. 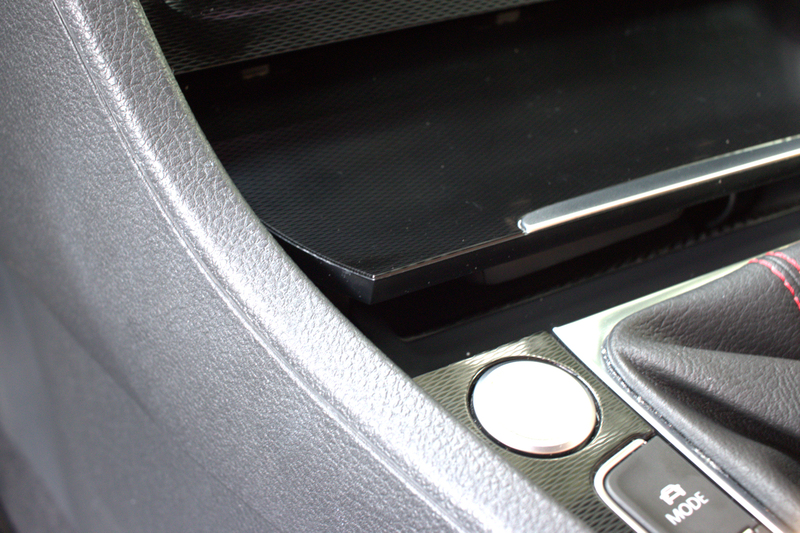 The last drawback is that the console door cannot close with most phones mounted. That’s not D-Docks’ fault, and they do warn shoppers about this, but I think a closeable door would be fantastic. Again, these are small gripes. I’m nearly adjusted to not having access to my smartphone while driving. Having it put away has to be a good thing. Remember a commercial with the line, “Do people use smart phones to do dumb things?” Using a smartphone while driving can be pretty dumb. I think I was cautious with my phone, never looking at it in traffic or typing at all. But leaving the phone alone altogether has to be better. It’s almost impossible to sit at a red light without seeing the driver behind me looking down at “something” (their phone) or drivers crossing in front of me, even while turning left, holding their phones in front of them instead of paying attention to where they’re going. The D-Dock enables and encourages me to not be “that guy.” The more I use it, the more I like it.